Description: This is a smaller sized toy that chinchillas can move from place to place. It resembles a fun keyring. 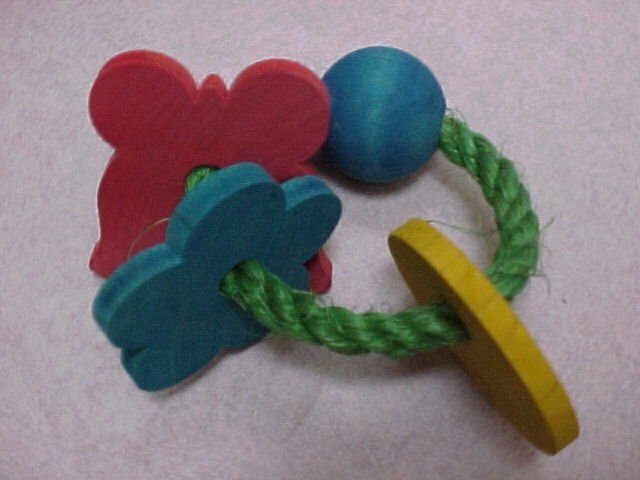 The shapes and colors of the wood that make of the toy may vary, but the basic size and shape will be the same. Pecan, yucca or other woods may be used. I can make these more customized if you let me know what you'd like the color or wood to be. Comes in packs of two.